Keep suffering from summer and waiting for its end. 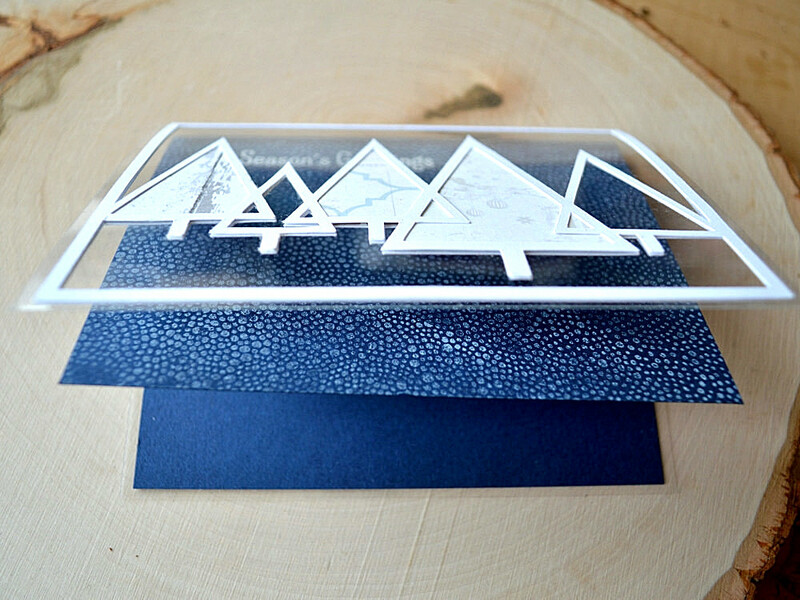 And it’s easier to do it making Christmas cards. Today I wanna share my first one this year. Continue to be inspired by Shari Carroll with CASE Study challenge. This week card is one of my fave of Shari. Was so glad to see it as the inspiration. Made three-layers card. The first layer is a clear card base. 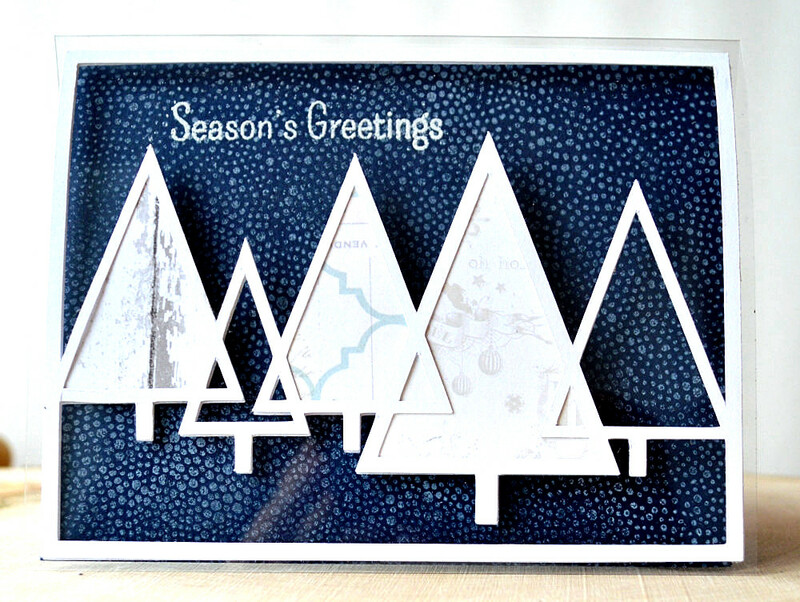 I created Christmas trees design and cut it on my Silhouette. Added some PP inside of some trees. 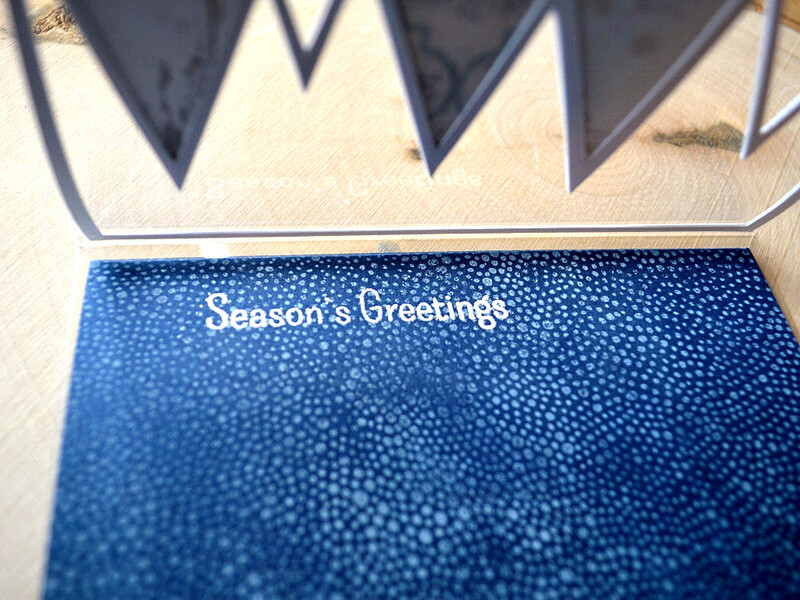 The second layer – dark blue card case with white stamping and embossing.